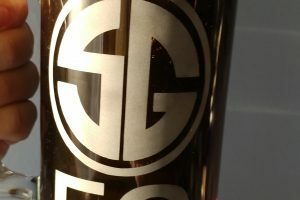 In 2009 Tippmann unleashed the TPX pistol marker upon the world, and true to form it quickly rose to prominence and a player favorite. 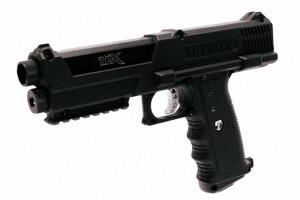 Though not the first paintball pistol to market, the TPX brought with it a few key differences: under barrel CO2 cartridge chamber, a weaver rail for accessories and a first party after market remote line adapter among other things. 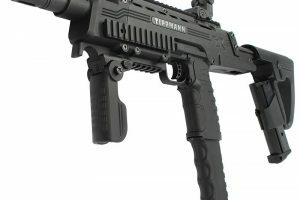 In addition, the TPX launched with Tippmanns legendary durability and support, providing extra incentive for players already familiar with the Tippmann brand.